Customized to meet your unique needs, our facials are designed to treat, correct, and control a range of skin problems, including acne, aging skin, delicate and sensitive skin, dry skin, oily skin and Rosacea. Facials involve the safe and effective use of antibacterial agents, anti-oxidant treatments, creams and lotions, masks, peels, exfoliants, extractions, and massage to promote skin health. What can a facial do for me? Regular facials can help keep pores clear and prevent acne breakouts. Exfoliating facials can free the skin surface of dead cells and leave skin fresh, glowing, and younger looking. Moisturizing facials can bring dry, sensitive skin to life and restore its vibrancy. Provide your skin with the vital nutrients essential to promote balance. 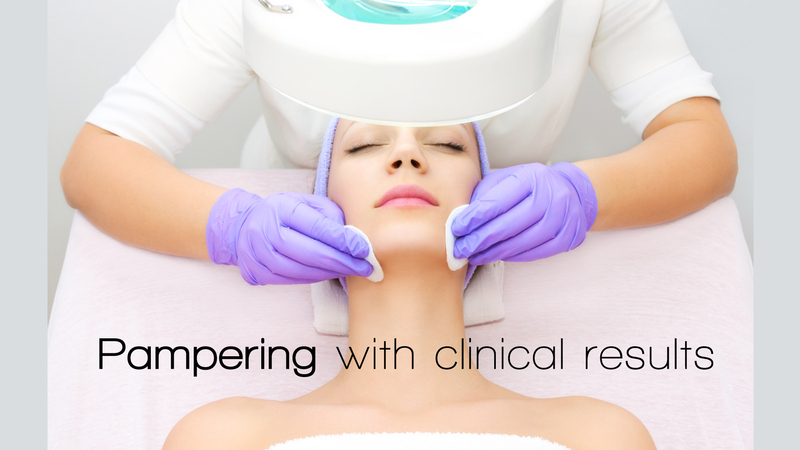 Enjoy the benefits of rejuvenated skin while your esthetician tailors your facial to suit your needs. A mini-version of True’s Personalized facial that includes exfoliating enzyme steam, face massage, and customized masque treatment. Battle breakouts, reduce bacteria and promote smooth, clear skin. This facial is ideal for anyone with mild to severe congestion looking to clear their skin of acne lesions or blackheads. MONTHLY SPECIAL FACIAL – We design a special seasonal monthly facial that keeps current with the latest skin care trends. Who can have a facial? Facials are an outstanding skin care treatment that can benefit all adolescents and adults who care about the look and feel of their skin. The type of facial you have will depend on your skin type, the unique needs of your skin and your skin care goals. We offer a complimentary consultation and skin analysis by a highly skilled esthetician who can help determine what would be the best treatment to help you reach your goals. Although you can see immediate results from just one facial treatment, most clients enjoy regular or occasional facials to maintain the health and beauty of their skin. Our clients usually prefer to combine facials with more aggressive skin care treatments.